Impact Production’s Brand Manager software is an integrated platform of tools for centralizing your branding collateral and marketing campaigns. Our service will transform the way your company collects and distributes promotional strategies. Our team will build you a custom hub that brings your entire workforce to one spot where you can deliver brand messages with speed and agility to your target audience. Give your team access to all the marketing tools they need to run successful advertising while preserving your brand’s core values. Capture, unify and activate your data all in one place. House all of your marketing content in a centralized location for your team to retrieve and distribute quickly. Preserve your brand equity across all channels and media. Access your own personal branding agency to execute campaigns. Feature your company’s products for download or sale. Streamline procurement, management and distribution. Boost productivity by shortening time to ground for your marketing campaigns. Shorten the speed of your message delivery to your audience. Save your team time from sourcing print projects. Customize and print only what’s needed. Pay and track orders all within the same application. Generate local demand with our easy-to-use suite of tools. 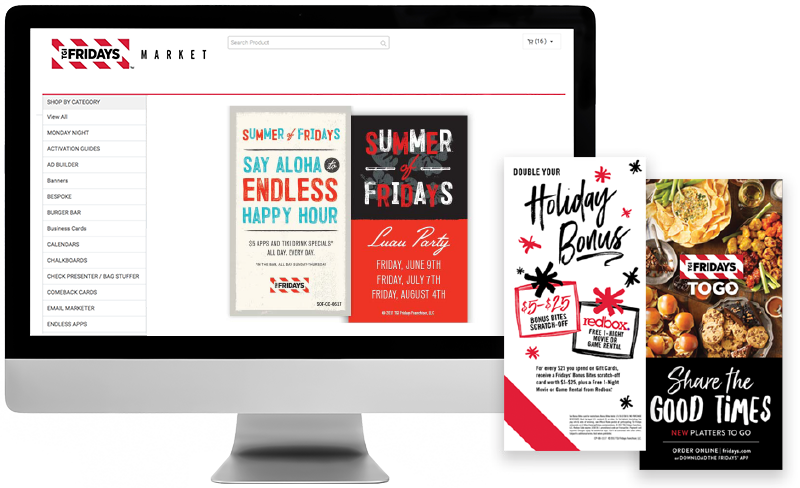 Customize marketing collateral per location so they can be more effective at developing relationships with both consumers and local businesses. Impact Production’s Brand Manager offers a centralized solution to grow your business. We’ll create a custom storefront styled with your branding where your team can access all marketing products and communications. Or your company can use it as an internet-based shopping environment that is customer-facing. Discover the package that’s right for your company. We offer bundles for any sized company looking to centralize and get more ROI from their marketing efforts. Scale with the growth of our business. Add users when needed. With each package, you get our team’s expertise and support to launch your digital storefront and help keep you on track. As an incentive for printing directly with us, initial set-up fees will be waived. We’d love to talk to you about pricing, products to upload, implementation and more. We’re ready to help.